The controversy erupted days after a newspaper report on February 2 claimed that the UPA II government’s leadership in 2012 had asked (informally) the Intelligence Bureau (IB) to try and establish if the army, under General VK Singh, was attempting a coup to topple the government. 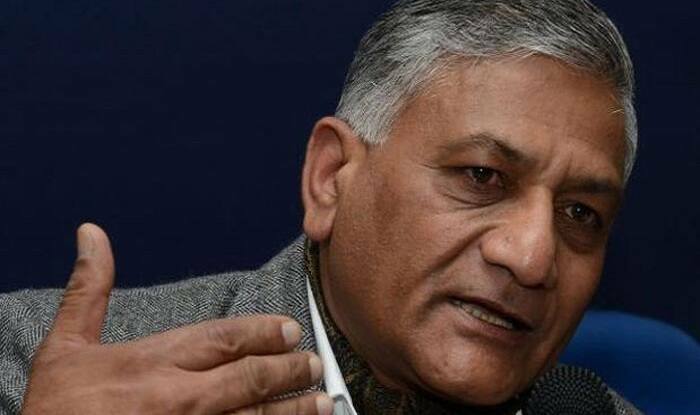 New Delhi: General (retired) VK Singh launched a scathing attack on Congress-United Progress Alliance-II government and accused it of treason for allegedly leaking a fake story to the media about a coup allegedly being plotted by the army seven years ago, in 2012. Singh, who was the Indian Army chief back then and is currently a minister in the present Narendra Modi-led government said that those behind the entire act were “willing to openly destroy the institution of the army to achieve personal objectives”. “By splashing it across banner headlines, this was nothing short of treason, for the gentleman (who had put out the story) was willing to openly destroy the institution of the army to achieve personal objectives. With those in power backing him then, virtually all institutional platforms of redress were not available to me, even though I was the serving Chief of the Army,” Singh asserted in his latest Facebook post. Notably, Singh’s remarks comes a day after the ruling Bharatiya Janata Party (BJP) sought the identity of the minister in the UPA government who had ‘planted’ the information. Addressing a press conference, BJP leader GVL Narasimha Rao sought clarification from the Congress if the Pakistan Army’s intelligence unit, the ISI, had aided in this process. “This is not just a political conspiracy but also an attempt to defame the Indian army. In January 2012, there were media reports that claimed that the Indian Army was staging a coup against the then-Manmohan Singh government. The stories were planted by senior leaders of the Congress party, including certain Cabinet ministers,” Rao said. The ruling party also took to micro-blogging site to attack Congress vice president Rahul Gandhi over the incident. “Plotting a coup is 1st order treason. But the Congress had no qualms taking this route to gratify its perpetual hunger for power! Was it authorised by then party VP Rahul Gandhi. On whose behest was he acting? We demand an answer,” the BJP tweeted. Reacting sharply to BJP’s allegations, former Defence Minister AK Antony said that when these reports of coup surfaced in 2012, he had given answers in Parliament. “As Defence Min at that time, there were a lot of questions in the Rajya Sabha and the Lok Sabha, I had given detailed answers. Please go through Parliament website, you’ll get the answer I’d given,” Antony told reporters. How the coup controversy started? The controversy erupted days after a newspaper report on February 2 claimed that the UPA II government’s leadership in 2012 had asked (informally) the Intelligence Bureau (IB) to try and establish if the army, under General VK Singh, was attempting a coup to topple the government. However, even IB categorically stated that there was no such coup happening, the details were ‘leaked’ to media by someone from the government.